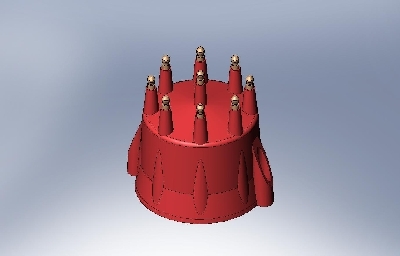 Design using 3D CAD using Solidworks. 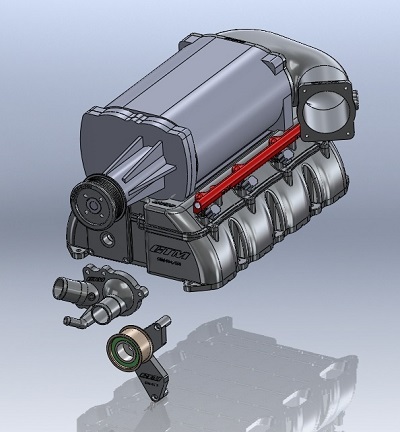 I am equipped with Solidworks CAD program and supporting tools. I also have a base of working relationships with component suppliers and fabrication shops, some of which are shown on the Links page. A summary showing my work history and various projects is on the History page. In addition to product design and development for industry employers and clients, I've developed BMW performance products which I market through the RONGINEER brand. 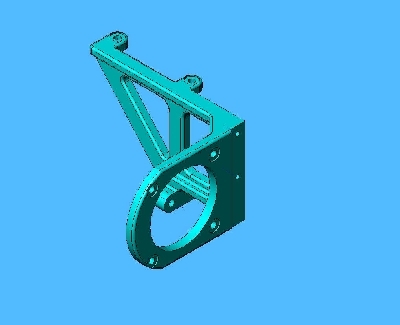 My capability in 3D CAD includes machined parts, sheet metal, plastic moldings, metal castings, and welded fabrications. 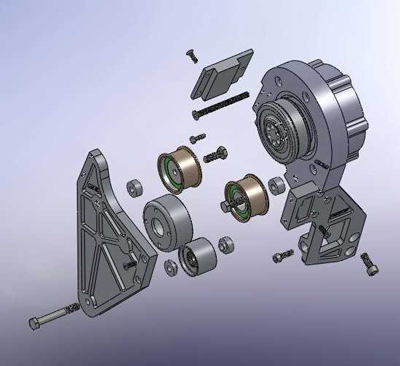 Below are some samples of parts and products I've designed previously. 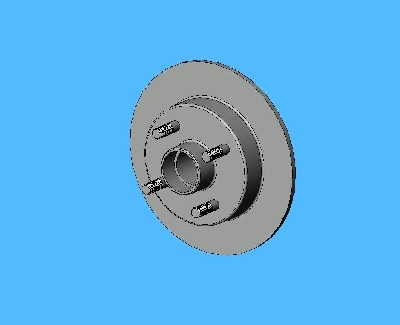 This is one of the housings made from molded plastic for a pumping device I designed for a client. 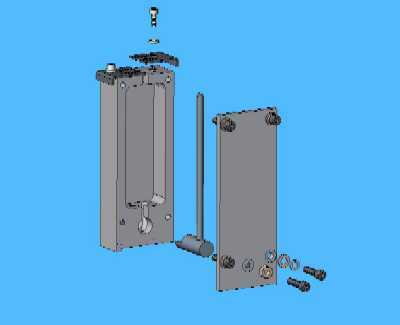 The knob on the right for the pumping device is assembled from two plastic moldings. The main knob molding incorporates a molded-in threaded insert. 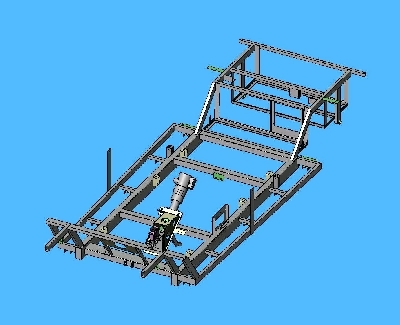 This is a chassis for an electric shuttle vehicle. 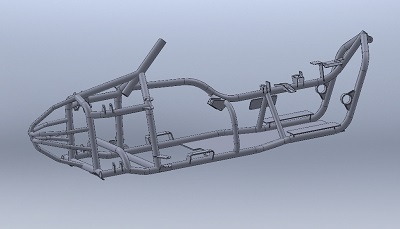 The chassis was a welded assembly of tubes and sheet steel parts. 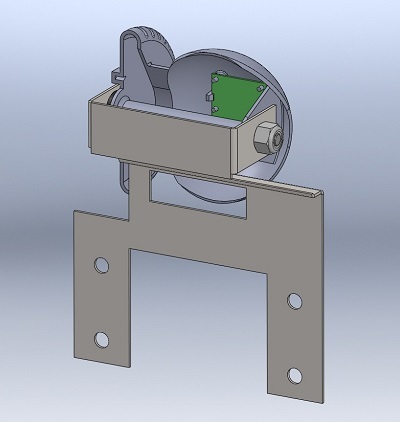 This is a steering column support and brake pedal mounting bracket for an electric vehicle chassis. The bracket is a welded assembly of sheet metal parts and the brake pedal was welded from laser cut sheet pieces and tubing. 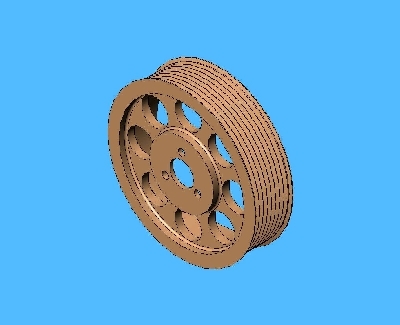 This brake rotor was designed for the front wheel of an electric vehicle. The rotor was machined from ductile cast iron. 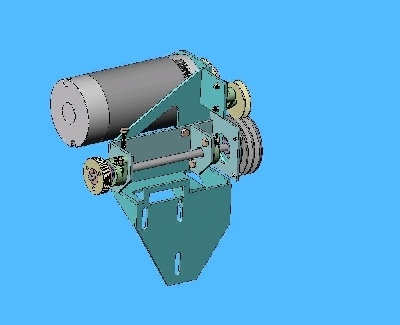 This is a portable electric heater unit for heavy truck use. 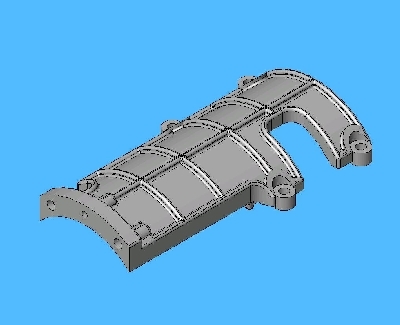 The housing parts are sheet metal fabrications. 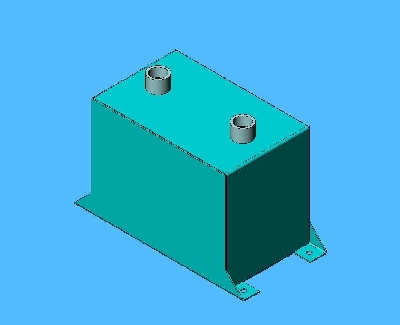 This motor drive assembly for the HVAC compresser on a heavy truck engine uses a mounting bracket designed from welded steel plate. 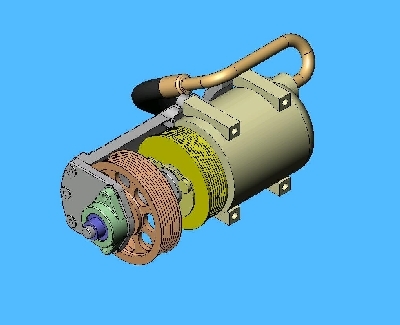 This compressor drive assembly on a heavy truck engine used a cast bearing support. The bearing supports shown on the left was made from cast iron. 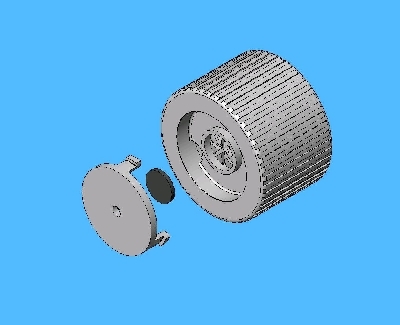 This drive pulley for a Poly-V belt was machined from billet. 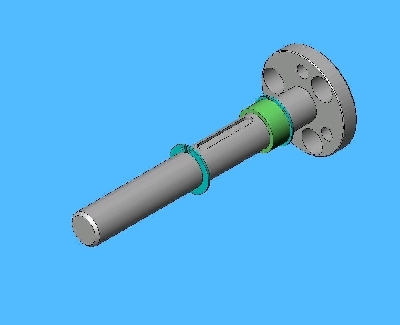 This drive shaft and flange were machined from steel. 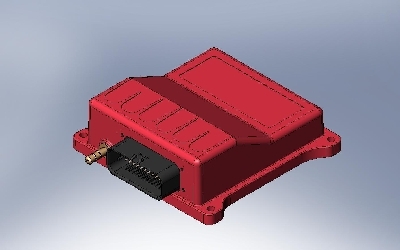 This housing for an electronic unit was designed from molded plastic. The circuit board on the left was designed to fit the housing and locate the main mechanical components. 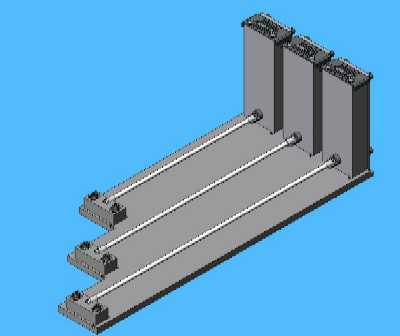 This measuring gauge for the quality control inspection of lamp tubes is composed of sheet metal and CNC machined parts. There are measuring stations for three different length lamps, each measures the length and and of twist of the lamp end caps. 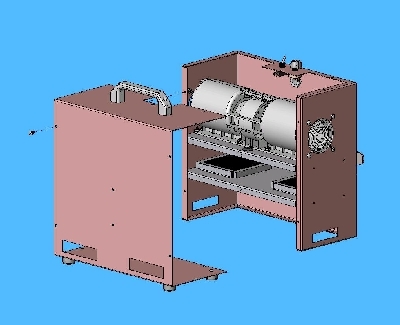 An exploded view of the measuring unit is shown on the left. 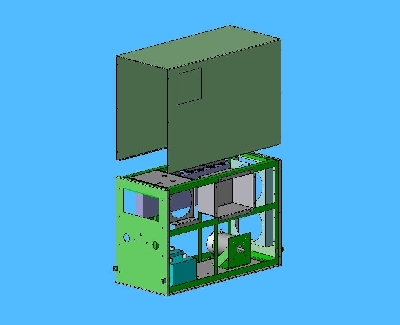 This is an APU containing a fuel cell system. The framework was designed in welded steel. 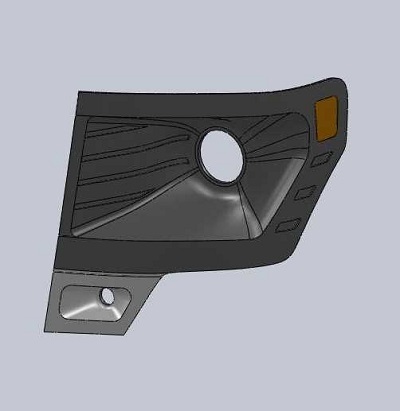 Sheet metal parts were designed for the outer housing panels and interior unit enclosures. The water tanks on the left were designed in sheet metal. 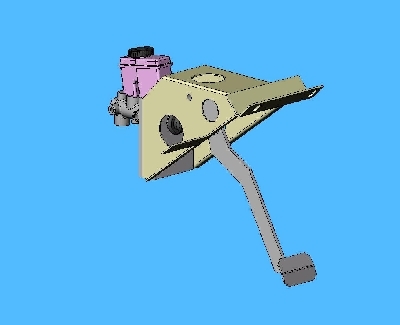 This drive motor bracket was designed in cast iron. This distributor cap was molded in plastic. 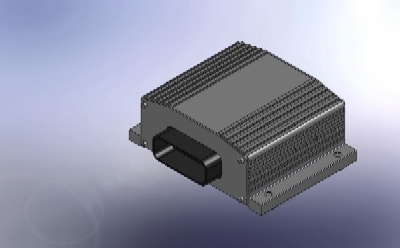 This ECU housing was designed in extruded aluminum. 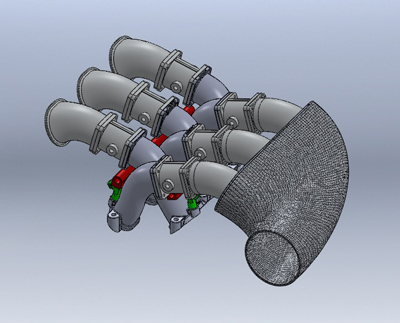 Intake manfolds, fuel rails, intercoolers, and drive for an engine supercharger. 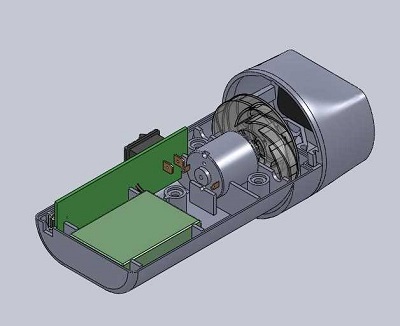 In addition to part manufacturing drawings, it is important in the product developement process to prepare assembly drawings and parts and service manuals. 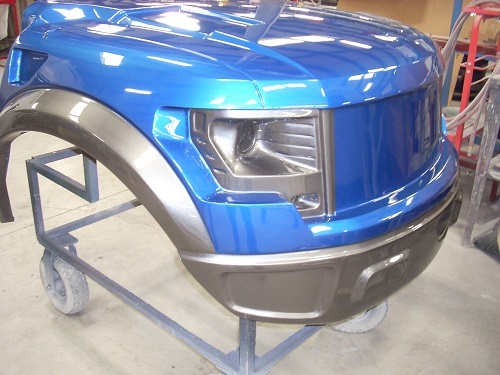 For every product, parts lists are also prepared to itemize parts, part numbers, vendor, cost, etc. 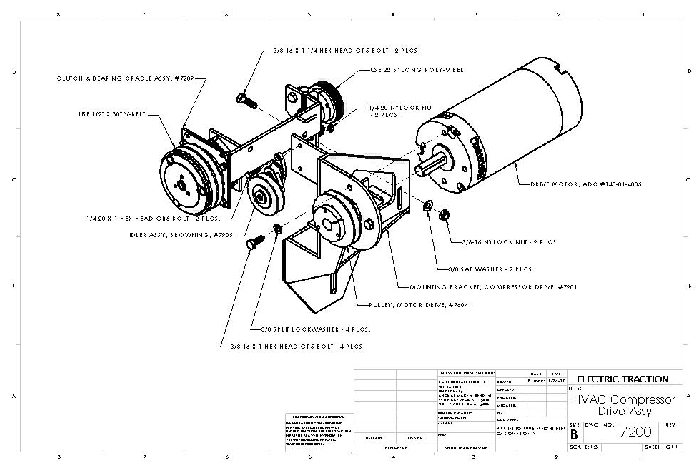 This is a typical assembly drawing. 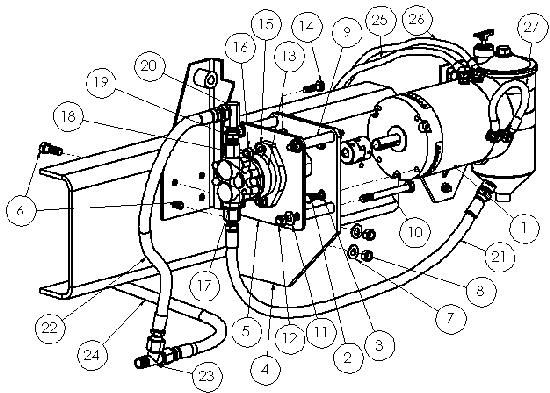 This is a typical exploded view for a parts manual. 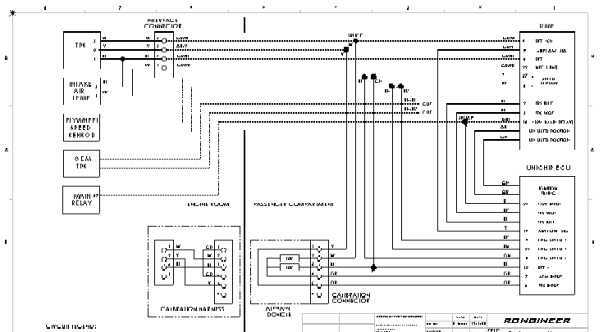 I've designed wiring systems for vehicles and other equipment, and this is a typical schematic for a engine control system. 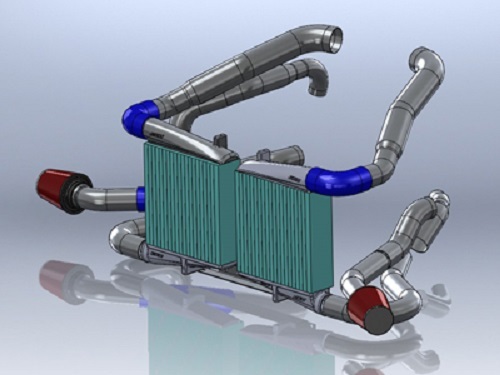 It typically takes 3-5 drawings to specify and wire harness. 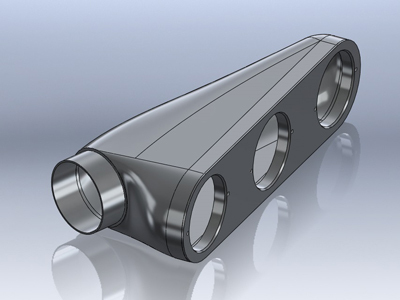 Designing and preparing tooling is an important part of the manufacturing process. 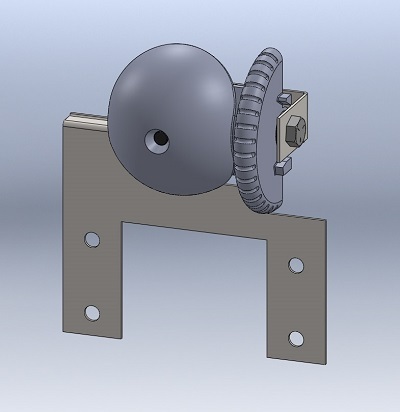 Below are some examples of jigs and fixtures that I've designed. 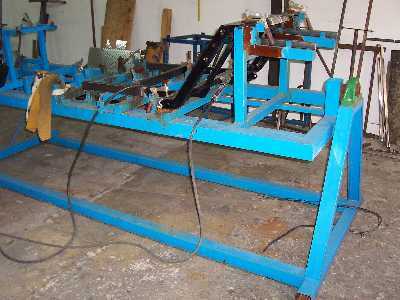 This is a rotating welding jig I designed for assembling the chassis of a Neighborhood Electric Vehicle. 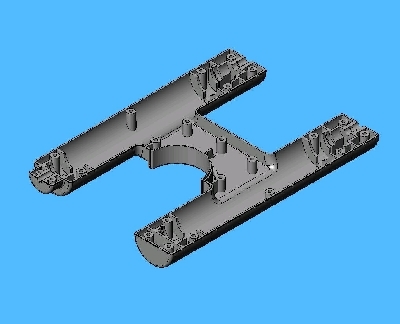 The photo on the right is one of the jigs used for building subassemblies for the chassis. 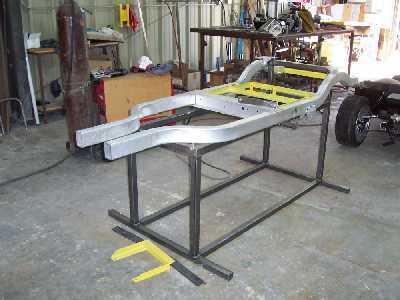 This is an assembly jig for building a golf car chassis. 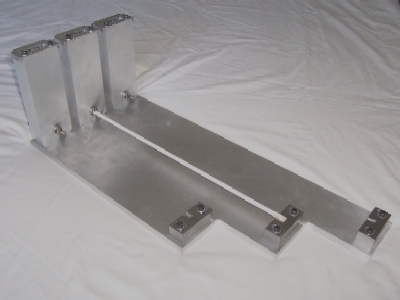 This is a jig for buidling the chassis of a racing car. 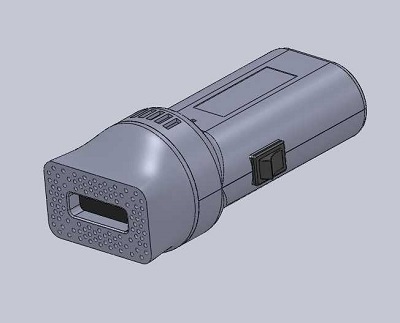 This is a device I designed for QA inspection of a small florescent lamp tube. 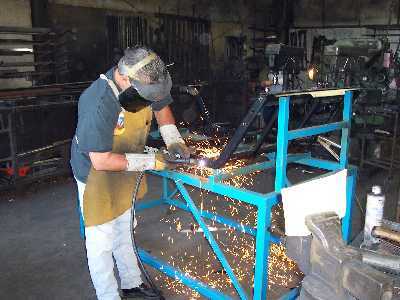 This is a jig welding subframe components for a golf car chassis. 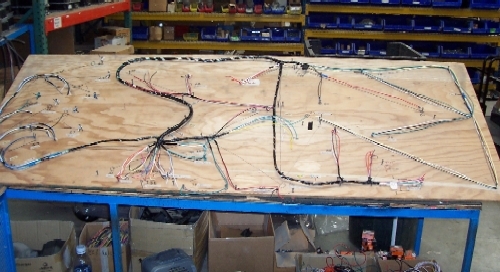 Part of designing and developing vehicles is designing the electric system and wire harnesses. At the outset, apportioning the circuits for the various components and providing adequate current capacity and fuse protection are determined. Electric vehicles also require special attention for circuit logic and switching requirements. 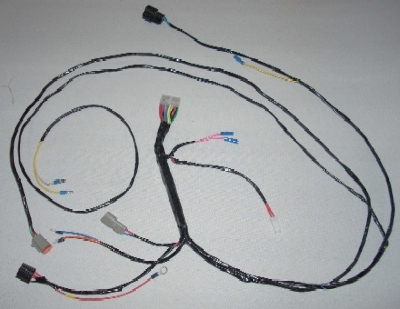 Below are some examples of wire harnesses I've designed. 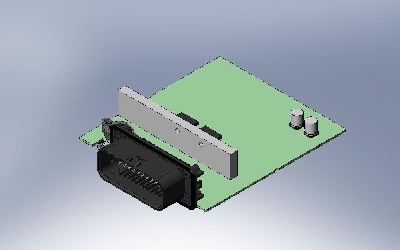 This is the layout board I designed for building the main harness for an electric vehicle. 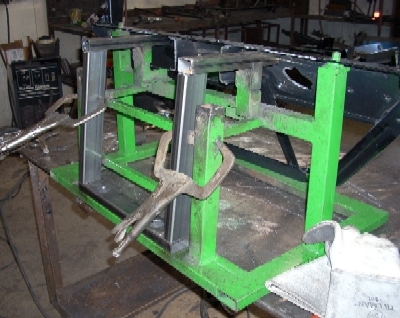 The completed harness is shown on the right. Fused circuits are provided for the 12V DC power supply, lighting, turn signals , brake lights, radio, blower and power control. 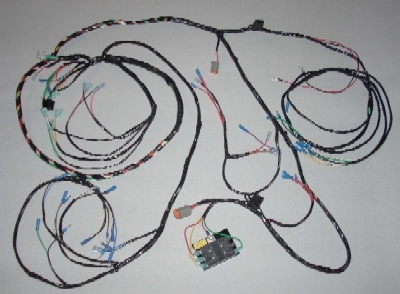 This is the harnesses for the motor controller on an electric vehicle.